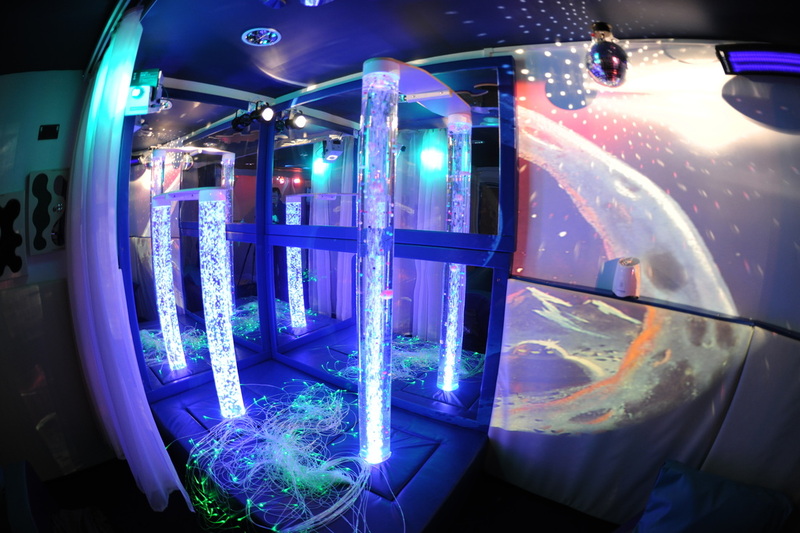 The multi- sensory room is available to individuals or small groups who need somewhere different in order to relax. The Multi-Sensory Room uses light, sound and a range of specialized equipment designed to create an environment that is used for relaxation and calming. With the aid of switches it allows users to interact with the equipment giving the opportunity to explore cause and effect. 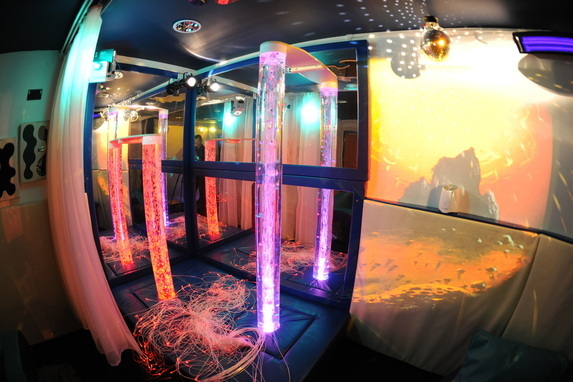 The Multi-Sensory Room delivers proven benefits across all age ranges and from moderate to profound special needs. The room has seating for 6 with support.